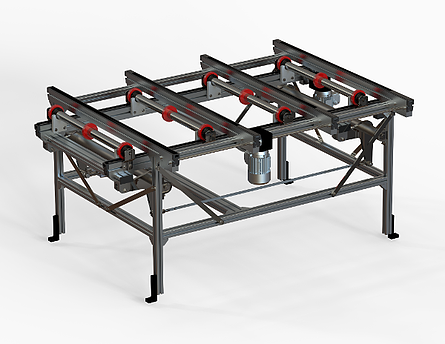 Roller Lift Transfer Units utilize a series of rollers to lift and engage the payload perpendicular to the direction of flow. The lifting action raises the payload from the in feed conveyor so it can be moved onto the adjacent transport conveyor. The unit is bi-directional and can be set up to manage two, three, and four-way traffic control conditions.